Avatar takes us to a spectacular new world beyond our imagination, where a reluctant hero embarks on a journey of redemption and discovery, as he leads a heroic battle to save a civilization. The film was first conceived by Cameron 14 years ago, when the means to realize his vision did not yet exist. 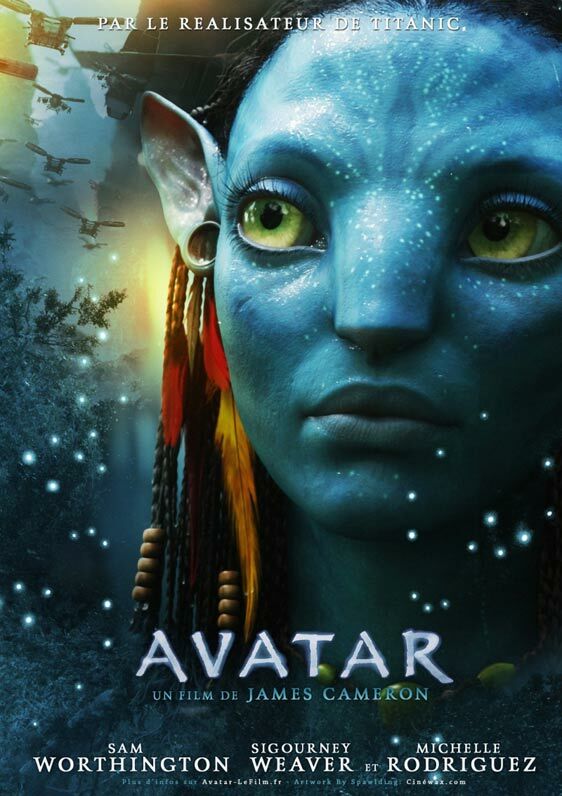 Now, after four years of actual production work, Avatar delivers a fully immersive cinematic experience of a new kind, where the revolutionary technology invented to make the film, disappears into the emotion of the characters and the sweep of the story. Avatar Movie Prop Peplicas, Figures, Toys and Collectibles! From the Manufacturer: Sideshow Collectibles, Stan Winston Studios and Legacy Effects are proud to bring you the Neytiri Legendary Scale (TM) Figure from James Cameron's masterwork AVATAR. Sideshow's team collaborated with Legacy Effects to create this incredible maquette, which was used to develop the original screen-used costume, capturing the awesome detail of the Na'Vi princess. Each piece is individually painted and finished, each with its own unique quality and detail that is the trademark of a handcrafted Sideshow Collectibles product. Standing approximately 36 inches high from base to bow, the Neytiri Legendary Scale (TM) Figure is the ultimate AVATAR collectible, sure to be the centerpiece of your display. From the Manufacturer: Sideshow Collectibles presents the Jake Sully collectible statue, inspired by James Cameron's blockbuster film, AVATAR. 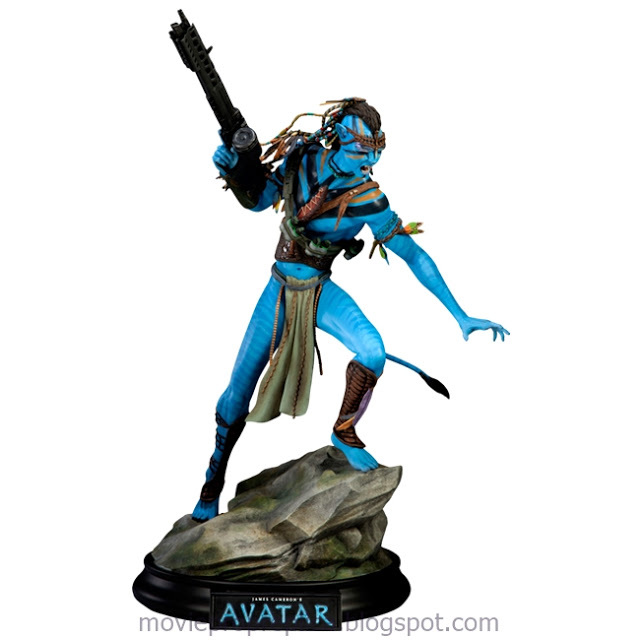 Fiercely battling to protect Neytiri and the indigenous people of Pandora, the Na'vi, Jake wields an M-60 machine gun and wears an ornate Na'vi headdress. Each piece measures approximately 19 inches tall and is individually painted and finished, with outstanding attention to detail. From the Manufacturer: Amid very high anticipation, Sideshow Collectibles is proud to present the Hot Toys 1:6 scale Jake Sully Collectible Figure from the award-winning science-fiction epic adventure blockbuster AVATAR movie written and directed by JAMES CAMERON. 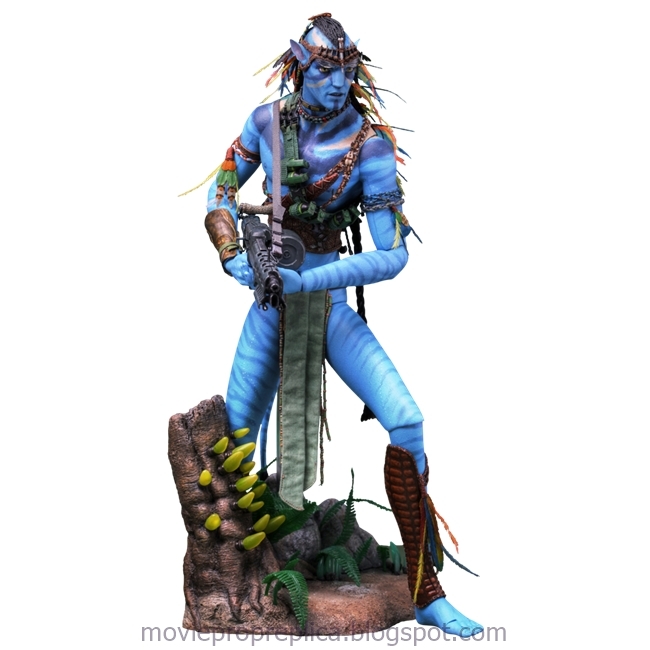 The 18-inch high movie-accurate Jake Sully collectible is specially crafted based on his image in the movie as a Na'Vi Avatar on the Pandora world, highlighting the head and body sculpture and painting, highly detailed accessories and weapons, as well as specially-made light-up figure stage imitating the Pandora scene. Fight like the Na'vi with this Avatar Jake's Na'vi Dagger Prop Replica! 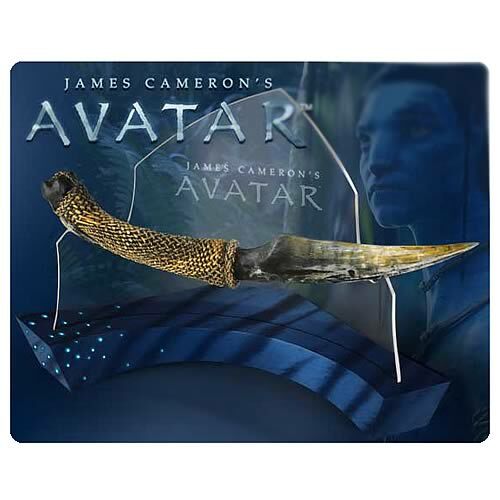 Designed by the masters at Noble Collections to look exactly like the knife used by Sam Worthington's avatar in James Cameron's 2009 film Avatar, this Na'vi weapon helped Jake through thick and thin as he learned the ways of the Na'vi. Measuring 13-inches long overall, the slightly curved dagger even has an authentic webbed grip and sits as an awesome Avatar display! Fight like the Na'vi with this Avatar Neytiri's Dagger Prop Replica! Designed by the pros at the Noble Collection, this dagger looks exactly like the knife wielded by Zoe Saldana's character Neytiri in James Cameron's 2009 film Avatar. 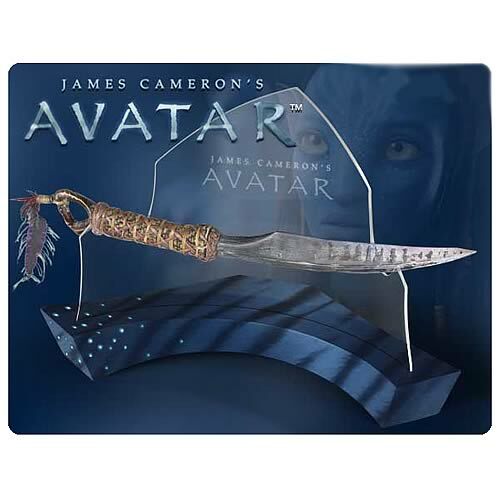 Measuring 19-inches long, the exquisitely designed and authentic-looking dagger even has a wrapped leather grip and Avatar-themed display base! From the Manufacturer: Sideshow Collectibles is proud to present the Neytiri Bust, inspired by James Cameron's blockbuster film, AVATAR. Capturing the Na'vi princess Neytiri in beautiful detail, this hand painted, individually finished bust stands over two and a half feet tall. 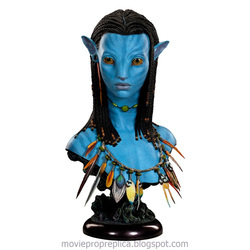 The Neytiri Bust makes a stunning addition to any collection. Sam Worthington as Jake Sully, a disabled former Marine who becomes part of the Avatar Program after his twin brother is killed. His military background helps the Na'vi warriors relate to him. Sigourney Weaver as Dr. Grace Augustine, an exobiologist and head of the Avatar Program. She is also Sully's mentor and an advocate of peaceful relations with the Na'vi, having set up a school to teach them English. Michelle Rodriguez as Trudy Chacón, a combat pilot assigned to support the Avatar Program who is sympathetic to the Na'vi. Zoe Saldana as Neytiri, the daughter of the leader of the Omaticaya. She is attracted to Jake because of his bravery, though frustrated with him for what she sees as his naiveté and stupidity. She serves as Jake's love interest.